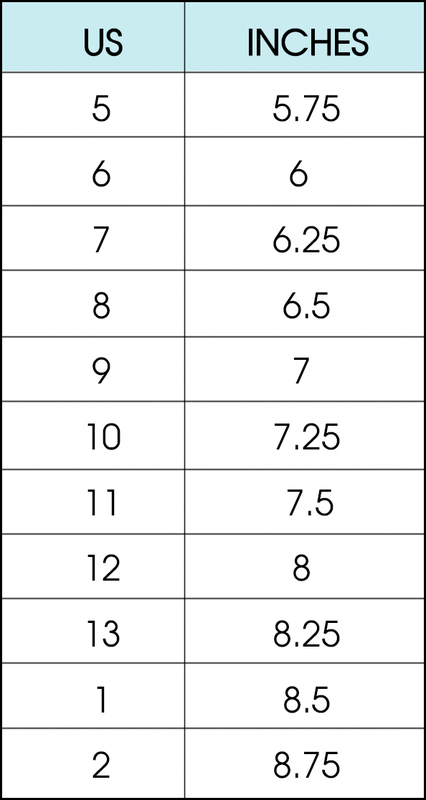 *Please note our sizing runs a touch big. 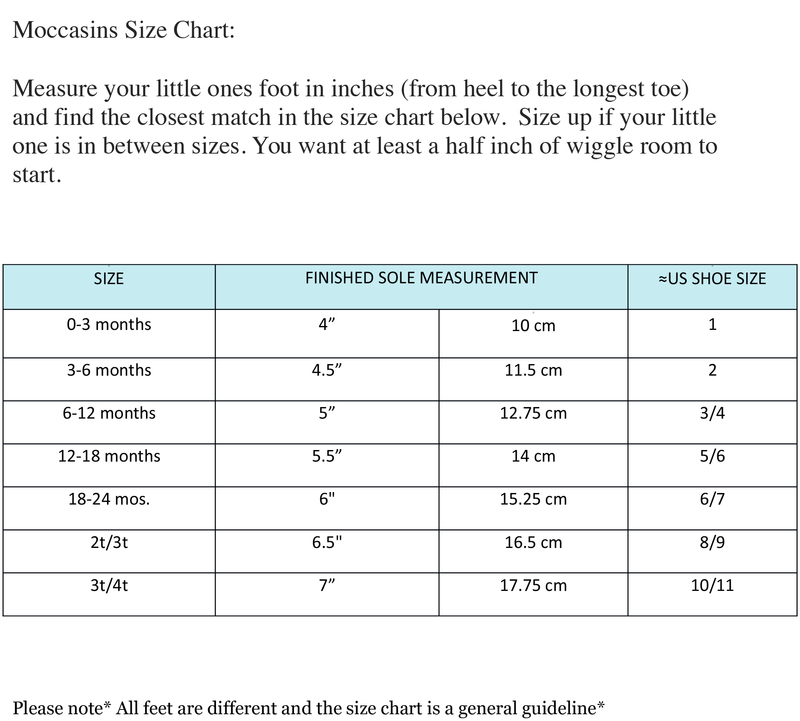 Please trace your little ones foot on a piece paper and measure in inches to find the closest size. Do not size up with the loafers. They need to fit like a glove.